Charlotte Fairlie is a successful, elegant career woman. Still in her 20s, she has landed a job as headmistress of her old school. She is admired and liked by both staff and pupils - but she begins to feel there is something missing in her well-organised life. I read this book a number of years ago but didn't remember a lot of the details. It is delightful, as all the author's books are. The reader did an exceptionally good job. I appreciate Audible.com having books by authors like this who are not necessarily known by the mainstream of listeners. 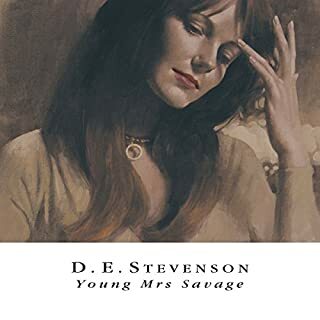 D. E. Stevenson is an author who is unsurpassed at creating believable characters that the reader cares about. 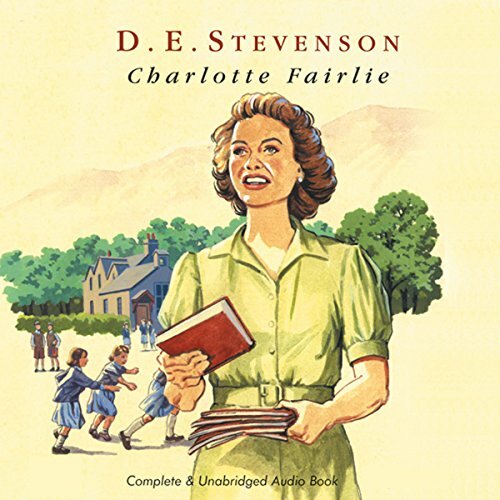 Charlotte Fairlie is a delightful book about a woman who is a success in her career, as head of an English girls school. Then a chance for romance enters her life. What choices will she make? But the story of Charlotte is only part of this book. The secondary characters, both the good and the bad add to the delight of this book. And Hilary Neville does a great job bringing the characters to life. Listen to this book, then look for other books by D.E. Stevenson. Her world is a delight. I was surprised how much I loved this book. 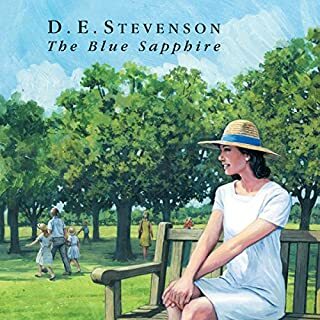 The story is old fashioned and a little choppy, but the main character is so decent and likable it's hard not become engaged with her life decisions. When I was young, I was a big fan of boarding school stories this book is from the perspective of the head of such a school. Another plus for me. If you're looking for a gentler type of book, but not one that's insipid, I highly recommend this. I already knew I loved Charlotte Fairlie, having read my paper copy several times. But what makes this so special is Hilary Neville and her splendid rendering of a lovely story. I feel she captures the very essence of talented author D.E. 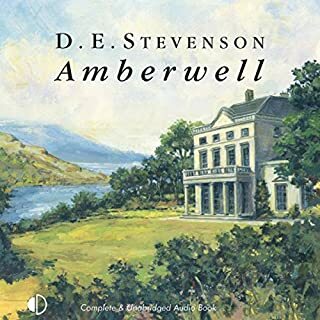 Stevenson's voice...I feel as though this special author is really speaking to me, telling me a wonderfully engaging story earnestly and truthfully. I am VERY happy with this recording, and sorry I didn't play it sooner. It is destined to be re-listened to a couple times a year. What made the experience of listening to Charlotte Fairlie the most enjoyable? Ms. Neville's voice was perfect for each character, especially Charlotte. Slight scottish brogue. The character of Tessa was beautiful. Ms. Neville has a gentle voice, annunciates well and has a nice lilt to it. She performs all characters well. The character of Tessa was so lovely, she is intuitive and bright with fresh and gentle honesty. I was moved at the tenderness of Tessa's father also. A very lovely story of charcters with character. Stevenson paints a lovely picture of an isle in Scotland that is wonderful and bright. Charlotte Fairlie is a book that though understated, brings a warm mix of mystery, romance, English countryside and all around charm. I immediately identified with Charlotte, a sensible woman seeking a secure place in the world and doing well. Little does she know her world is about to turn upside down. 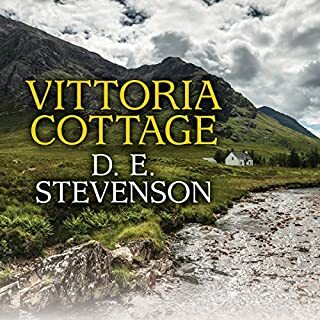 I loved the contrast between her careful, tactful, organized life at the beginning of the story and the wild freedom of the Scottish island of Targ. Simply lovely! I had read this book several times and loved it. It is beautifully read and listening enriched my appreciation of the story. Once again D E Stevenson creates wonderful. Comes characters with her simple beautiful writing. Beautiful story, well produced. 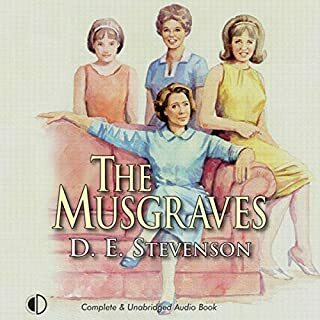 I think this is D. E. Stevenson's best book in my opinion. I highly recommend this recording. D.E. 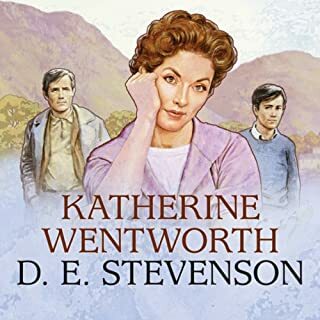 Stevenson's books are not great literature, but they are the perfect antidote for a tired mind desiring a gentle book. Her characters seem like real people, both the likeable and the unlikeable, and their problems are the problems of the ordinary person. Hilary Neville did an excellent job of narrating the book and seemed to retain the feel Stevenson was after. If you like the Miss Read books, you most certainly will enjoy "Charlotte Fairlie." a very good book.well 2read. I will read more. I like her books.thanks for it.